For the first time in the league’s history, the Central Hockey League are welcoming in a team from north of the border. 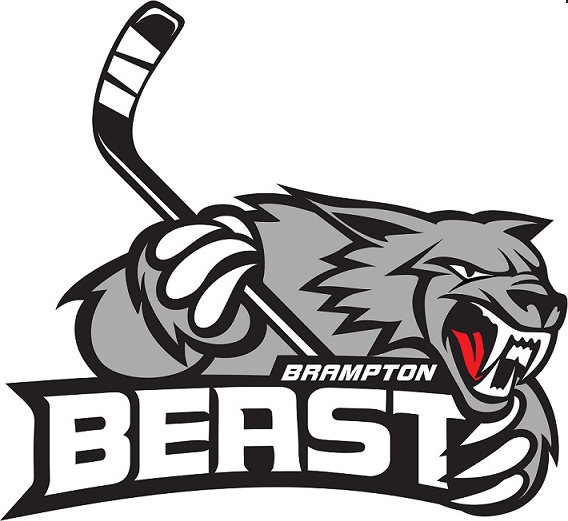 The Brampton Beast will finally get their inaugural season underway this Friday when the Arizona Sundogs invade the Powerade Centre. Brampton has picked up quite a core for forwards including former Belfast Giant, Andrew Fournier and Cardiff Devils/Sheffield Steelers alumni Tylor Michel. Both players must be thrilled to be back in front of a home country crowd. Veteran Rob Collins who spent a few years in the New York Islanders system will definitely bring the knowledge and leadership needed into the locker room for this new-found team. Collins has spent the past 8 season in the German Elite League. Matt Caruana who spent some time with the Toronto Marlies is another welcoming addition. On defence, Brampton brings the power with CHL veterans, Jamie VanderVeeken, Michael Couch and Erik Spady. Rounding out the defence is Andrew Darrigo, Mike MacIntyre and former Alaska Ace Steve Ward. Back between the pipes is Meadow Lake, Saskatchewan native Kristofer Westblom. Westblom had a great WHL career Kelowna Rockets before shipping off to Acadia University out east. He played 37 games last season with the Forth Worth Brahmas with a goals against average of 2.07 and save percentage of 0.907. Brampton is also affiliated with the Syracuse Crunch of the AHL and the Tampa Bay Lightning of the NHL. They will be a helpful addition to the Tampa Bay system in molding the right kind of players. The Beast are set to round-up their training camp and get ready for Friday night’s opening game. All fans will receive thundersticks to cheer on the Beast! Puck drops at 7:30pm.